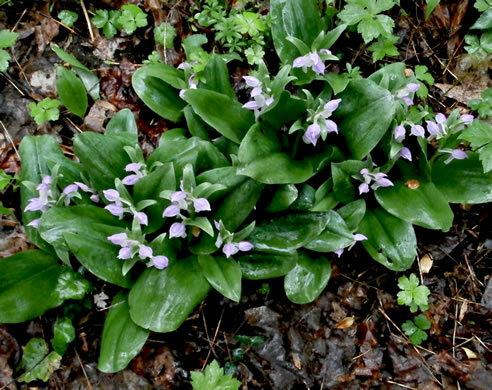 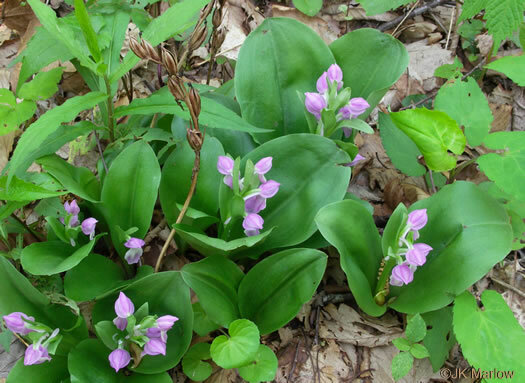 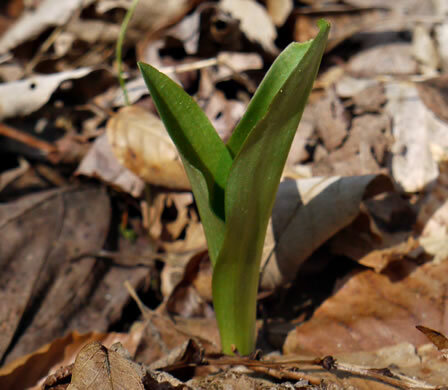 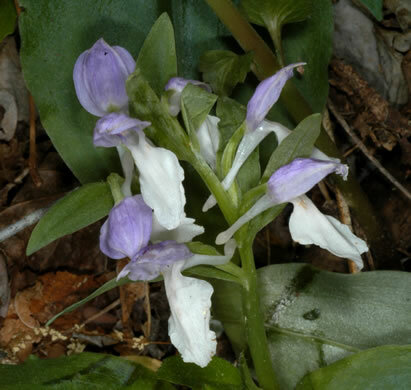 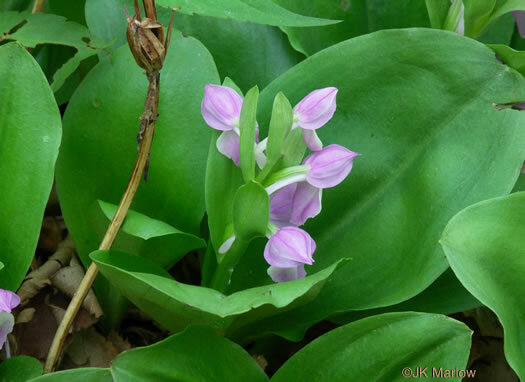 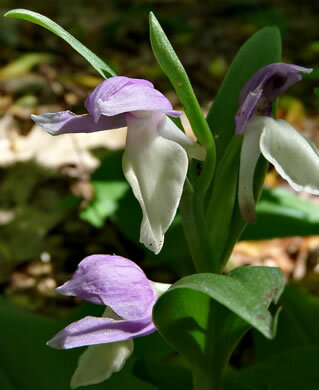 Read more: Galearis spectabilis (Show Orchis) and Trillium species in the Pisgah National Forest, Transylvania County, NC by Jim Fowler. 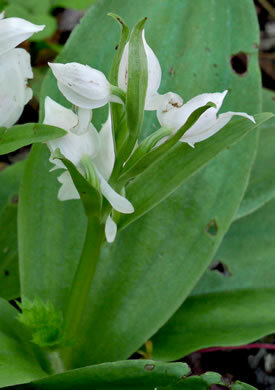 Rarely almost white, per Vascular Flora of the Carolinas. 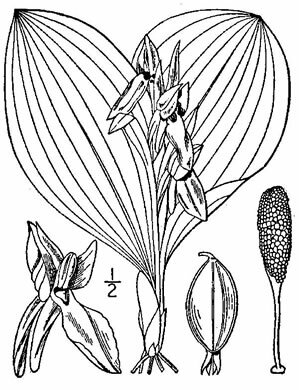 Stalk w 2-10 fragrant bicolored flowers rises from 2 broad glossy leaves, per Wild Orchids of South Carolina: A Popular Natural History. 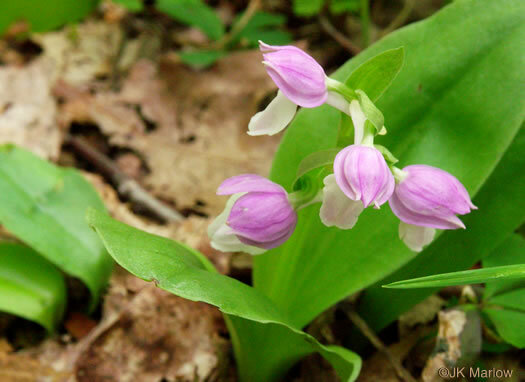 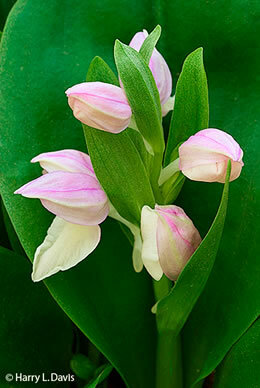 The lip is usually white, sometimes tinted with shades of pink, per Wild Orchids of South Carolina: A Popular Natural History. 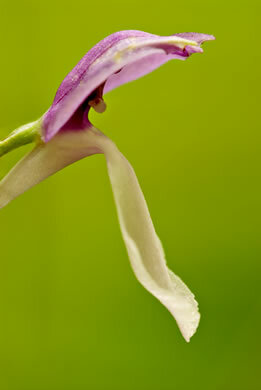 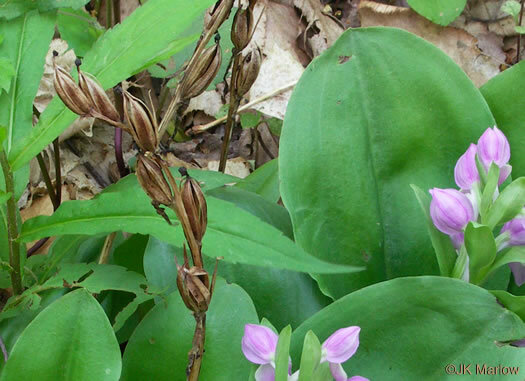 A tubular spur is connected to the lip, per Wild Orchids of South Carolina: A Popular Natural History. 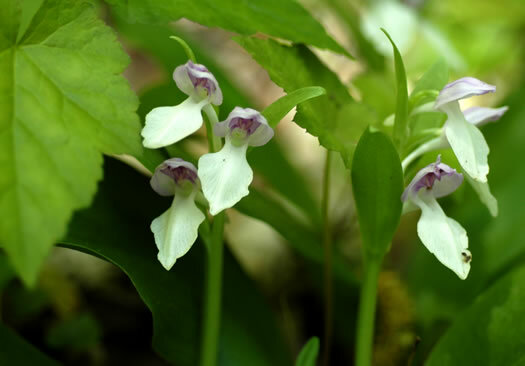 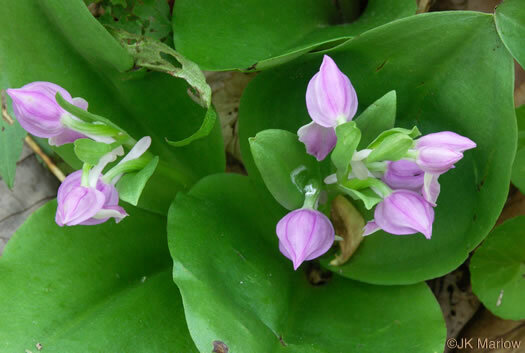 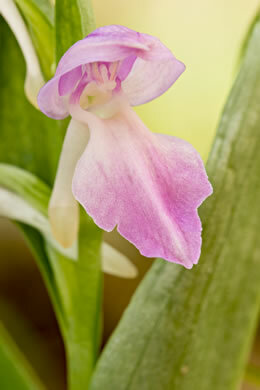 The dorsal sepal and petals converge to make up the "helmet", per Wild Orchids of South Carolina: A Popular Natural History. 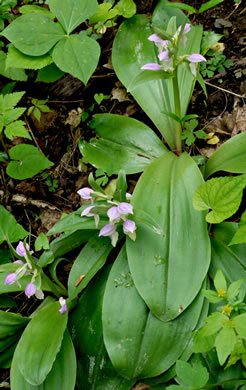 Basal leaves to 4" long and rounded at the apex, per Guide to the Wildflowers of SC.